The Collier-Lee Chapter (formerly Everglades Chapter) of The Association of Fundraising Professionals was formed in 1994. 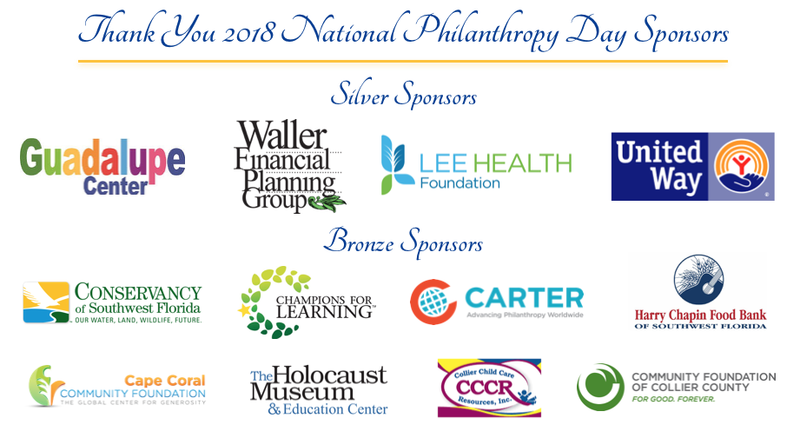 We serve AFP members as well as professionals working in fundraising in the local community by providing monthly continuing education and/ or networking programs. More than just your typical CFRE course! Participants receive 14 CFRE education points. CFRE sets a high bar for fundraising practices, professionalism, and ethics. The CFRE Certification is how today’s fundraiser shows accountability, service, and commitment to making a difference for good. The CFRE exam allows fundraising professionals to show their mastery of the profession in core knowledge areas. But good preparation for this exam requires more than fundraising knowledge, it demands an understanding of the concepts and methods used in the creation of the exam. The Certified Fund Raising Executive (CFRE) Examination is designed as a generalist exam for fundraising professionals to demonstrate mastery of the six core knowledge areas related to fundraising practice. This certification is increasing in importance as more organizations are becoming aware of the standards the CFRE represents. Without any further investigation, when you have CFRE behind your name, employers, peers and the philanthropic community know that you have satisfied in full the requirements of being one of the top fundraisers in the world. As an employer, having a CFRE on staff the CFRE will represent the organization with the highest of professional standards. This is what employers are looking for today. In order to truly prepare for the CFRE Exam you need more than just fundraising knowledge, you need an understanding of the thoughts and methods used in the creation of the exam. Come join Janet K. Ginn, CFRE as she shares her many years of experience from her perspective as Interim CFRE President and CEO, CFRE Board member, CFRE Exam Committee Chair, and CFRE subject matter expert.